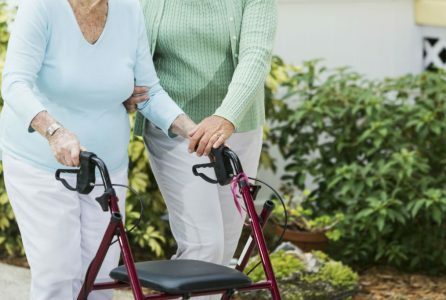 About 17 percent of adult children care for their parents at some point in their lives, and the likelihood of doing so rises with age, it reports. Last doesn’t find caregiving physically difficult even though she’s had two hip replacements and struggles with arthritis and angina. Her mother has memory problems and chronic obstructive pulmonary disease, relies on oxygen, uses a walker, has lost most of her hearing, and has poor eyesight. Sometimes, caring for a parent can be a decades-long endeavor. In Morehead City, N.C., Elizabeth “Lark” Fiore, 67, became the primary caregiver for her parents when they moved around the corner from her, in a mobile home park, in 1999. “My dad took me for a walk one day and asked if I could look after them as they got older and I said yes. I’m the oldest child and the oldest assumes responsibility,” she said. For years her father — a difficult man, by Fiore’s account — had heart problems; her mother had a nervous breakdown and a slow, extended recovery. “They wanted me to be in their lives and I wanted to do for them — I’m a Christian — but it was killing me. My heart was in the right place but emotionally, I was a wreck,” Fiore said. After her father’s death from kidney cancer in 2010, her mother became even more needy and Fiore found herself spending more time responding to calls for assistance — often about suspected medical emergencies. “My mom had a way of acting as if something was horribly wrong and then it turned out it wasn’t,” she explained.